One of the things that Bee Drachenberg and her mother, Eulene Moores, have shared is music. Despite suffering from Alzheimer’s disease, Moores still has music; she plays the piano. And music is the medium that provided an outlet for Drachenberg as she has dealt with the tumultuous emotions surrounding her mother’s disease. “Heartsong” is written, sung and accompanied on the guitar by Drachenberg. Her daughter, Laura, plays the piano pieces, and a cellist is also featured. It was released Feb. 20. “I felt very alone through it a lot of times, very not understood,” she said. “(I took) four years worth of experience, almost like my diary, and squeezed it down to a few verses,” she described. 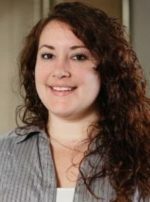 Drachenberg was a primary care giver to both her mother and her father, who was diagnosed with psychotic depression, for about four years. Moores was diagnosed with Alzheimer’s in June 2012 after a trip to the grocery store in which she went back in to purchase the one thing she forgot, and purchased all of her groceries, again. Both parents are now in full time care. Being their caregiver in addition to a mother and other responsibilities was stressful and demanding, Drachenberg describes. Drachenberg said she has gotten a lot of positive feedback from the song. Drachenberg hopes that when people listen to the song they know that they are not alone, and that what they are feeling, be it guilt or anger or sadness, is OK.
Drachenberg said she will likely write more songs, using her mother as inspiration. And as for Moores, she has an electric piano in her room — and she takes requests. Elisabeth “Bee” Drachenberg resides in Alberta Canada. 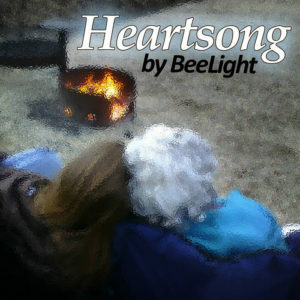 Find “Heartsong” at iTunes or Bandcamp. Part of the proceeds will benefit Alzheimer’s research and programs. You can also follow Bee Drachenberg on Facebook at BeeLightMusic. “The Vicissitudes of Travel” puts on stage the fear of "losing" a loved ones who is still alive.